Haiti is located on the island of Hispaniola in the Caribbean Sea. It shares a border with the Dominican Republic. With over 10.6 million people, it is the poorest country in the Western Hemisphere. With a history of civil unrest, brutal dictators and, natural disasters, it is a country with a weak infrastructure robbed of natural resources. The culture is rich in art, music and food with pockets of luxury tourist accommodations – a stark difference from the country’s capital Port-au-Prince. 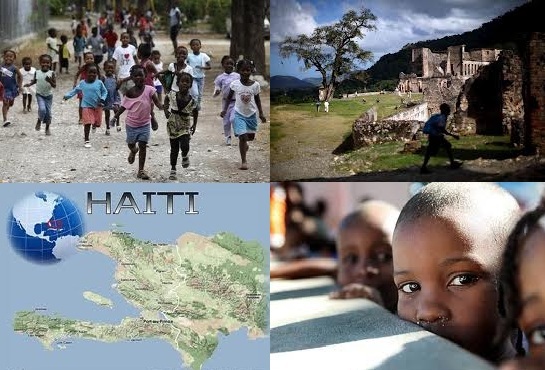 Haiti is party to the Hague Convention on Protection of Children and Co-operation in Respect of Intercountry Adoption (Hague Adoption Convention). Therefore, all intercountry adoptions between Haiti and the United States must meet the requirements of the Convention and U.S. law implementing the Convention. Haitian adoptions are conducted through a collaborative effort of a Hague accredited adoption agency in the U.S. and by the Haitian Central Adoption Authority (IBESR). • At least one parent has to be over 30 years of age. Neither parent can be over age 50. • Single women are accepted into the program. • A couple has to be married for at least 5 years. 1. Make application to Nightlight Christian Adoptions. 2. Begin your adoption homestudy and submit form I-800A to USCIS. 4. Once USCIS has approved your adoption homestudy, you will receive your I-797C pre-approval notice. 5. Once your USCIS approval has been received your dossier is complete, you will be registered to adopt in Haiti. 6. The Haitian Central Authority will add you to a list of waiting families and it can take 12 to 18 months to receive a referral. 7. Upon referral acceptance, you will travel to Haiti for a 15 day bonding trip. 8. Upon return to the US, you will file your I-800 application. 9. Once you receive your I-800 provisional approval, your dossier goes to court for the adoption. 10. Once you have received the court decree, the attorney will obtain a new birth certificate and passport for your child. 11. The final step is to obtain the US visa for your child. Once the visa is printed, you go to Haiti for the second required trip of 6 days and then return home with your child. 12. The children reside in orphanages while awaiting adoption. 13. 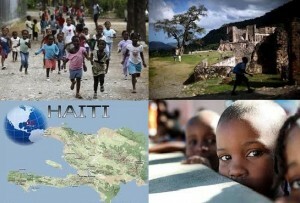 Haiti adoptions can take on average from 24 to 36 months to complete. Only 2 trips are required for adoption from Haiti. The first trip is 15 days and you will meet the child you were referred. Both parents are required to attend this trip. You will go on your second trip after adoption in Haiti is completed and your child’s visa is obtained. The required stay for the second trip is 6 days. Within 30 days of your arrival home, you must have a home visit by your homestudy provider. Your homestudy provider will prepare post-adoption reports and submit them to Nightlight at 6 months, 1, 2, 3, 4, 5, 6, 7, 8, years after your homecoming date. These reports include your child’s developmental progress and pictures. This is a very serious commitment; Nightlight is committed to showing the Haitian Adoption Committee and birth families that children adopted by US citizens are healthy and well cared for. Compliance with post adoption reports is also required by the Hague Convention. Therefore, Nightlight charges a fee to monitor and process these post placement reports and also requires families to pay for the cost of the post placement report in advance. The program fee for Haiti is $26,000. Your additional costs will include home study, airfare, hotel, meals and embassy fees as shown on the current Program Fee Schedule. Please contact Renae Kennedy, Renae@nightlight.org (970)663-6799, ext. 204 with any questions. To learn more about adopting from Haiti, you may contact us, call our office at (970)663-5501, or directly email our Haiti coordinator, Renae Kennedy, at Renae@nightlight.org. At least one adoptive parent must be over 30 years of age.